Jenna and Ajit are the epitome of a 21st century love story – in the best way possible. These two lovebirds met on Tinder. However, their amazing relationship didn’t start in the way you would expect it to. They didn’t simply match, swipe right, go on a date, and the rest was history, etc. They did match, swipe right, and begin talking. But because Ajit lived in California and Jenna lived in Minnesota, the two never met, and eventually moved on. But six months later, THEY MATCHED AGAIN. Ajit was convinced it was fate, Jenna was more sceptical, but neither could deny the amazing coincidence that had just occurred. 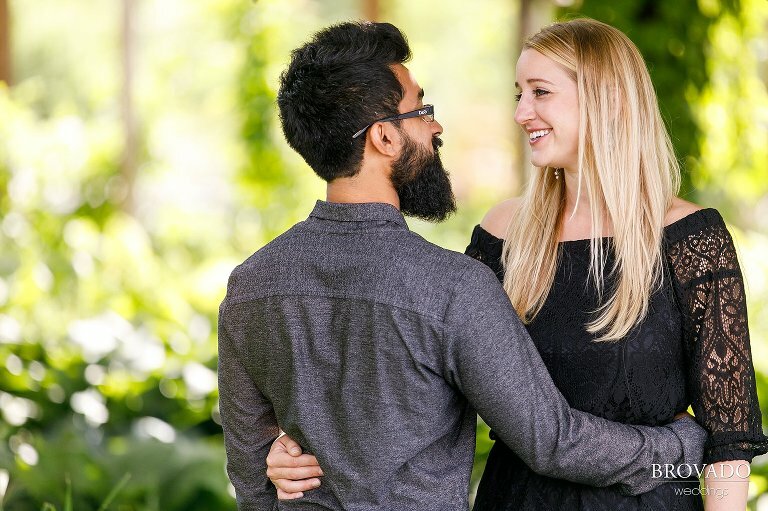 This time around, the intensity of their virtual relationship increased and soon enough, Ajit flew out to Minneapolis to finally meet Jenna. And now we can thankfully say, the rest is history. I absolutely love this story. I love that nothing, not even technology could deny that Jenna and Ajit were meant for each other. They are so obviously a perfect match. I have no doubt that these two wonderful people will forever ever be workout partners, adventure buddies, and continue to live their fullest live together. Congratulations you two, I can’t wait to capture more of your story on your wedding day!